Things have been pretty crazy over here since I last posted way waaaay too long ago. One of my goals for 2015 is to blog more so hopefully I will have lots to say this year! In a blog post from January 2013 (wow, that seems like so long ago), I mentioned that I had met a guy and fallen for him hard during my summer in London. Fast forward 2(+) years from that summer, he stuck around. He made me happy. We even got a cat. Then, this past October, he did something that made me cry harder than I ever had before. 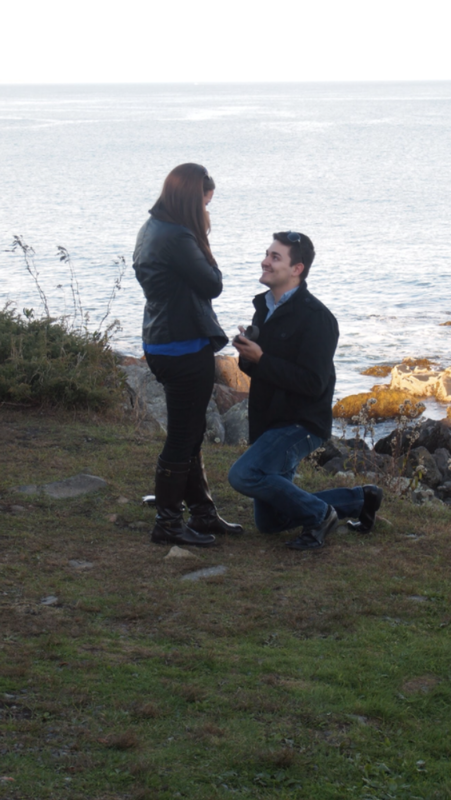 He got down on one knee in the place he took me on our first date (Ogunquit, Maine) and asked me to marry him. We picked a date, a venue, a photographer, and I’m happy to say I have lots of time to plan, stress, probably cry once or twice or many times, and enjoy all of the champagne my heart desires. 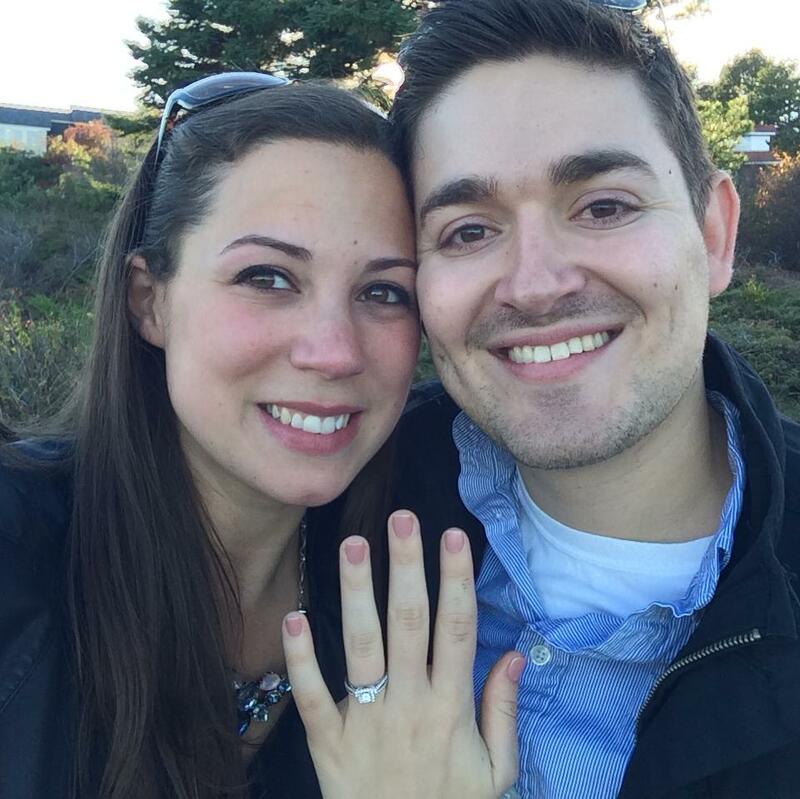 And being engaged to Sean also means I get an official drinking partner for the rest of my life. So awesome. And speaking of a drinking partner, Sean and I will be attending the Boston Wine Expo for the second year in a row next weekend! The perfect Valentine’s Day excursion. It’s no surprise that Sean and I love wine. Our love of red wine in particular was an early common thread between the two of us – Sean even brought a bottle of Cabernet Sauvignion for us to enjoy on our first date (Fetzer) and it is still a tried and true favorite of ours. Last year at the Expo, we sampled glass after glass of wine from all over the world and learned about each wine and vineyard individually. The Expo is a giant trade floor set up by country with each respective flag hanging over a portion of the floor. The wine booths are also flanked by different food vendors handing out samples so you can snack your way through the wine tastings. 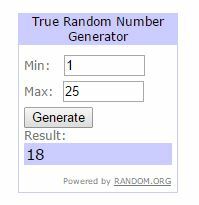 SORRY, THIS GIVEAWAY HAS ENDED. I promise this is an event you will NOT want to miss! Simply leave a comment and tell me what you’d look forward to the most if you got to attend the Expo. (Need inspiration? Check out their website and their Facebook page!) Make sure you include your e-mail address so I can get in touch with you if you win! 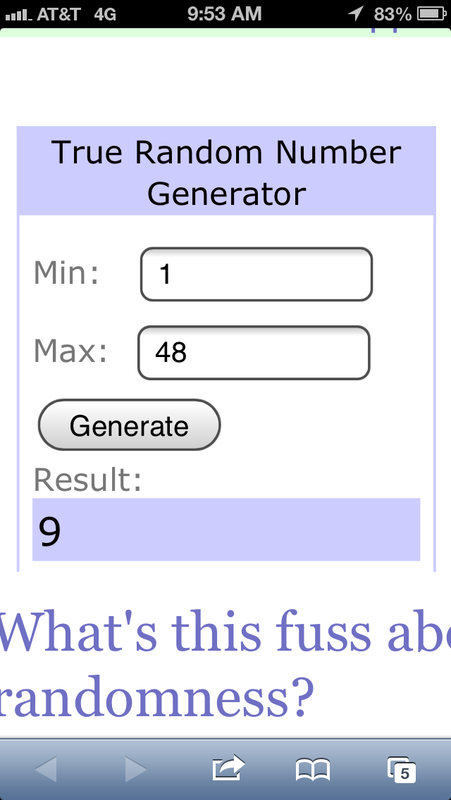 Want 2 extra entries? Follow @ChocoAndWine on Twitter and @BostonWineExpo on Twitter, tell me you did in the comments, and I’ll give you an extra entry for each follow! Good luck! I’ll pick a winner on Wednesday, February 11th. *The Boston Wine Expo sends Chocolate & Wine to the event, and provides the giveaway tickets, but all opinions are, as always, my own. I’m sure that goes without saying considering the title of this blog. And I’m really excited that this year I get the chance to go to the Boston Wine Expo at the Seaport Hotel and World Trade Center in February! 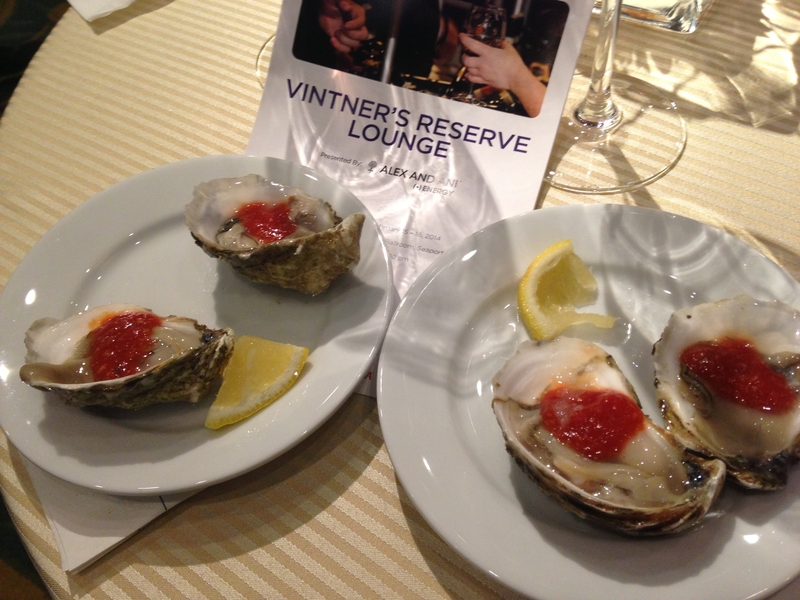 The opportunity to try over 300 wines in the span of 4 hours, plus tasty bites and live cooking demos? Sign me up! There are also educational seminars that you can attend to learn more about whatever topic tickles your tastebuds. I’m already eyeing the “Cheese and Wine Matching Seminar” where you get to try wines expertly paired with different cheeses. There’s also location-based seminars for those who are interested in learning about wines specific to places like Napa Valley or Portugal. I think deciding on which seminars to go to would be one of the hardest decisions of the day! And guess what? 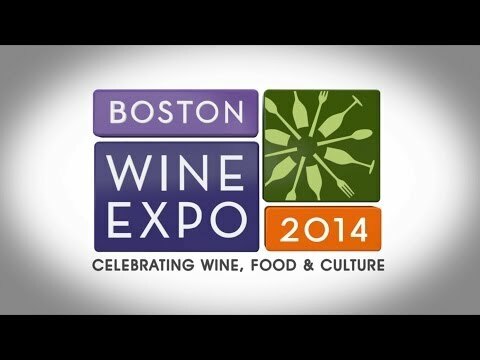 The Boston Wine Expo wants you there too! I have two tickets to give to a lucky reader for the Expo’s Grand Tasting on Sunday, February 16th! Your tickets will include access to the main event, a souvenir glass with which you can try any of the 300(+) wines that will be available for sampling, complimentary food samples from a variety of culinary producers, and live cooking demonstrations. I don’t know about you, but I’m super excited. For an extra entry, follow me on Twitter @ChocoAndWine and leave me a comment telling me you did! The entry period will run from today, January 15th through Thursday, January 30th. I will pick a winner at random and announce it here! 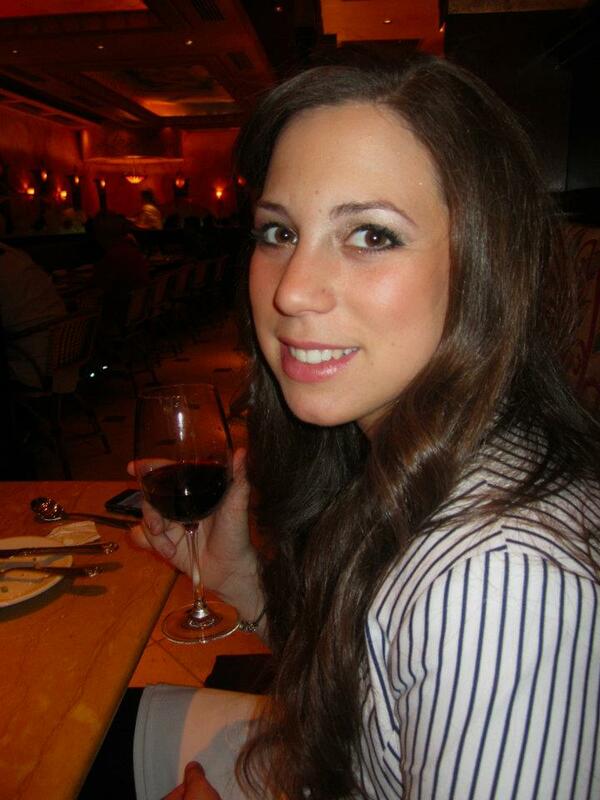 Congratulations to Lauren Boucher for winning 2 tickets to the Sunday Grand Tasting at the Boston Wine Expo! 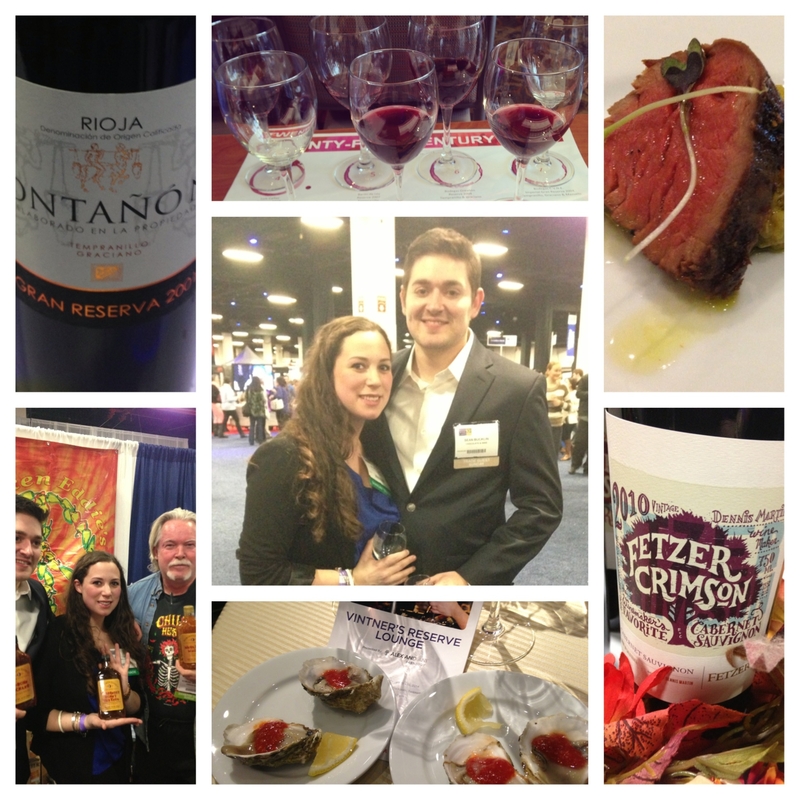 *As a blog ambassador, the Boston Wine Expo is providing me with complimentary tickets to the event, as well as a pair of tickets to give away. As always, all opinions are my own.